January 4 is Trivia Day. I've decided to test your knowledge and see what you know about pro wrestling with a contest. 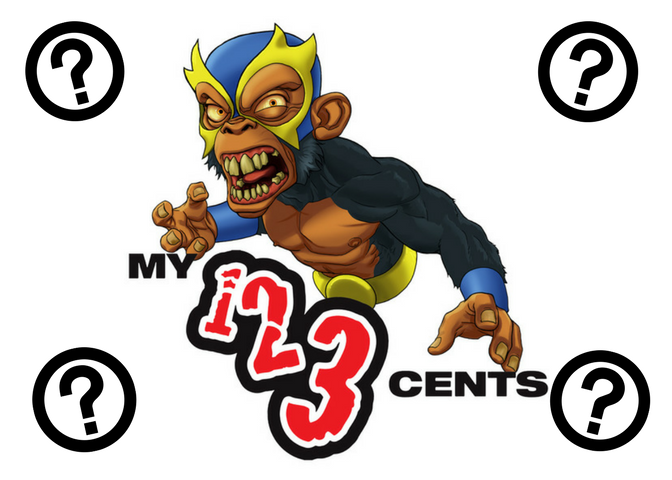 Answer the five questions below via private message on the My 1-2-3 Cents Facebook page and you'll be entered to win. The person with the most correct answers will win. However, in the event of a tie, a random drawing will take place. Good luck. 2. Who managed Mr. Perfect after Bobby "The Brain" Heenan retired as a manager in 1991? 4. What was Kane's festive persona in USWA?